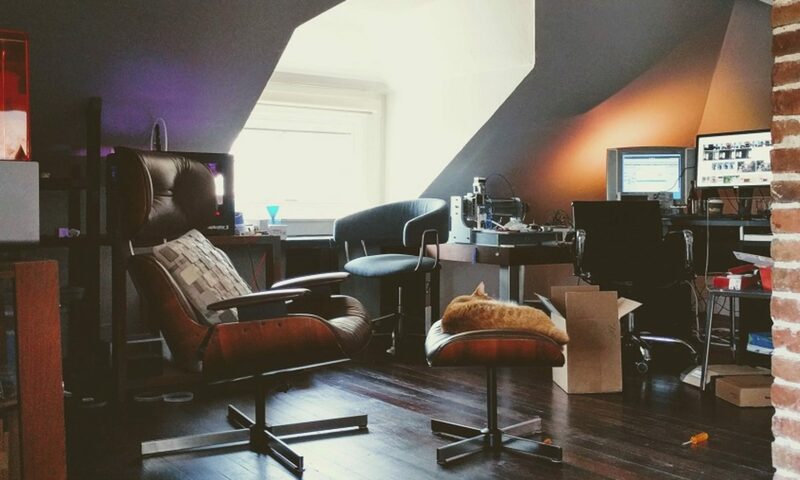 I wanted to build a storage bench for this area in my attic workspace. There were a couple of challenges: This house is more than a hundred years old, and nothing is square. 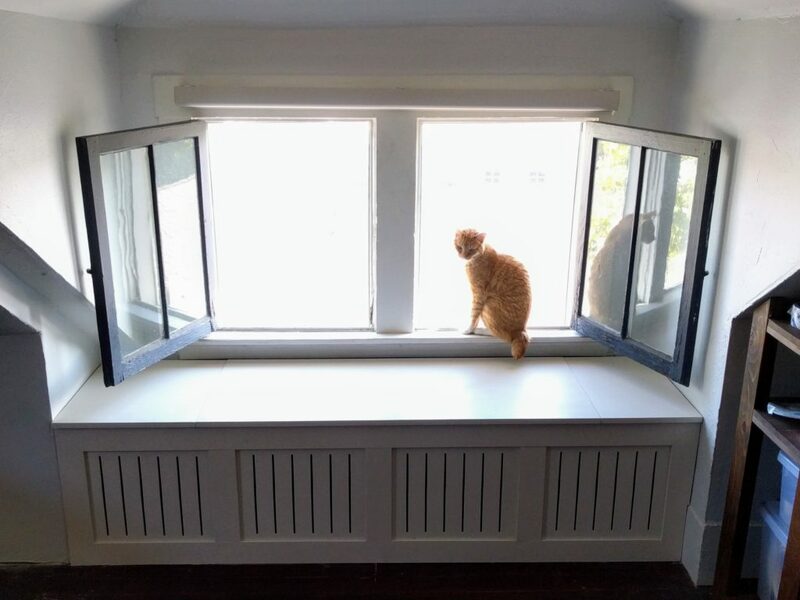 The window sill is +1/2″ higher left-to-right. 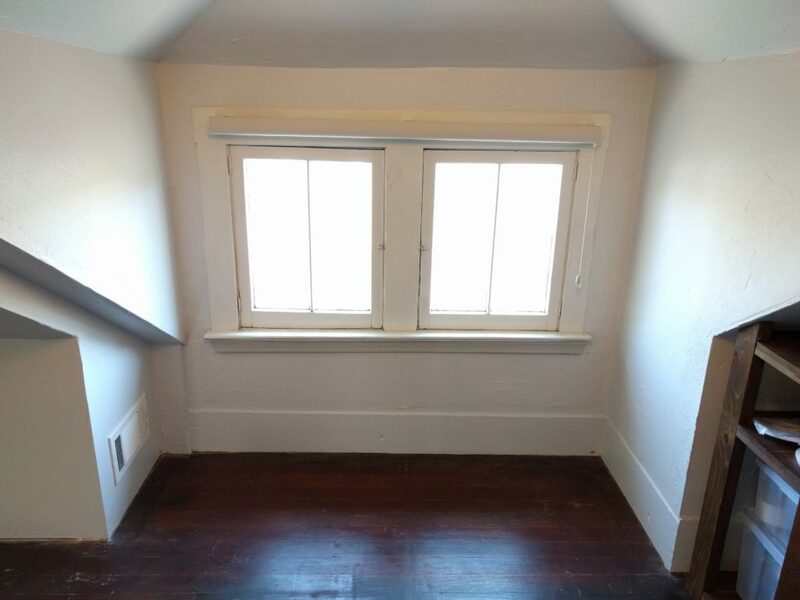 There’s a vent in the wall on the left side. The windows are casement-style and open to the inside. 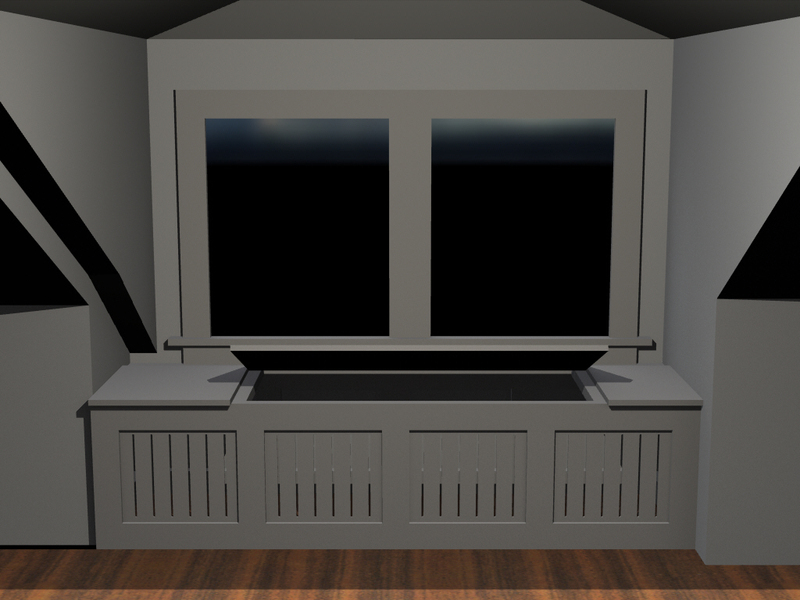 Modeled in Rhino3d. I tried a few different designs and finishes and landed on this one. 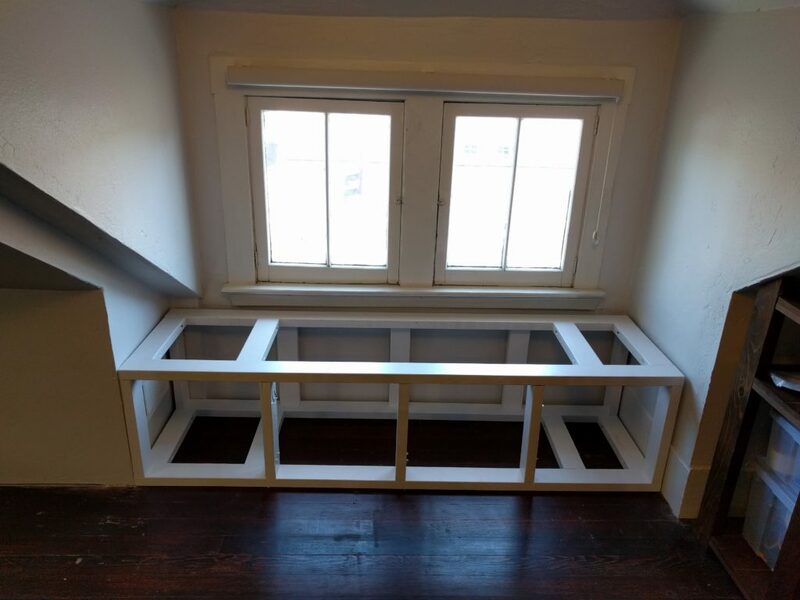 To deal with the vent issues, I opted to work ventilation into the front of the bench. These are removable panels, so the design can change in the future. 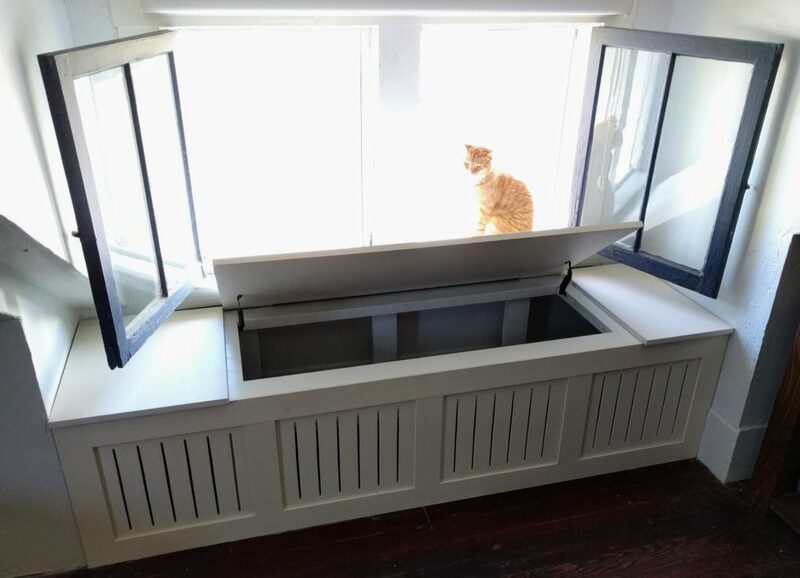 The window lid is sized so that it can open whether the windows are opened or closed. The left section can be closed off if I later decide to isolate the vent. Finished with piano hinge and safety lid supports.